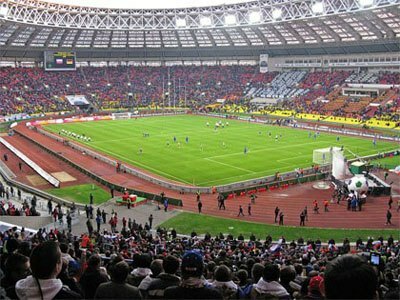 Having won the Soviet Championship more times than any other Russian team back in USSR times, the Russian Championship more times than any of their rivals, and also having reached the semifinals of all top three UEFA competitions, Spartak Moscow are rightly considered the most successful Russian club of all time. Football Club Spartak Moscow were founded in 1922 as the football branch of a much larger sports society called “Moscow Sport Circle”. Unlike other clubs that had powerful sponsors like the army, the police, or the railways, Spartak were associated with simple workers, members of a trade union, something that earned them the title of “The People's Team”. Despite not being the person who officially founded the club in 1922, Nikolai Starostin is definitely the one who can be credited with Spartak's evolution from a simple group of players to a real football club. He and his three brothers are considered the heart and soul of Spartak in their early years, and the very fact that all four have their statues inside the stadium speaks volumes about their importance in the club's history. The name itself, “Spartak”, in use since 1935, inspired by Spartacus, the legendary Thracian gladiator, is credited to Nikolai Starostin, while according to some accounts even the club's logo was designed by the same man, before he found himself being targeted by the Communist regime, for, among other reasons, “attempting to drag bourgeois mores into Soviet sport”. FC Spartak Moscow won their first three Championship titles in the mid to late thirties, combining the last two in 1938 and 1939 with triumphs in the Soviet Cup. In the forties, right after World War II, they added two more Soviet Cups to their collection. The fifties brought them even more glory, three Championships, two Cups, and finishing second in the Championship or reaching the Cup final the years they won no title. It was Nikita Simonyan's decade, a formidable striker, Spartak's all-time leading scorer. Another Spartak great, Igor Netto, who started his career at the Moscow club next to Simonyan, stayed on until 1966, celebrating another Soviet Top League and two Soviet Cup titles. When the USSR was dissolved, Spartak had reached an enviable 12 Championship titles, more than any other Russian club, and second only to Ukrainian side Dynamo Kyiv. They had also won the Soviet Cup more times (10) than any of their rivals, Dynamo Kyiv included (9). If there has been though a decade that Spartak's name was practically a synonym of “Russian football”, it was the nineties. Starting in 1992, the Moscow club won all but one Russian Premier League titles until 2001, nine in ten years, picking up two Russian Cups along the way. Plus, the nineties brought them the biggest international fame in their history, reaching the semifinals of the European Cup (today's Champions League) in 1991, the Cup Winners' Cup in 1993, and the UEFA Cup in 1998. If there is one name more associated with this golden age in Spartak's history more than any other, it's Oleg Romantsev, the team's coach from 1989 to 2003 (with a small break in 1996). Today's logo has been in use since 2013, when Spartak were allowed to add three stars to the one they already had since 2003. Each star stands for five Championship titles won. Spartak have a total of 21 (Soviet time included). The ball inside the letter “C”, which is Cyrillic for “S”, is a 1998 addition.